Pearls are timeless and have an ageless charm. Each dawn pearls have a serious fashion transformation, from its traditional appeal to modern iterations. It is a new beginning for the pearls. Today’s pearls are all about new vibes. Today, different techniques have been used to really push the limits of what can be made of pearls. A pearl trinkets design is what will rage this year. In the past few years, pearls have been seen in the fashion spotlight and are translating into fine jewelry designs. Women will always want to feel comfortable but looking good. The fashion industry, therefore, has effortless style to meet the needs of women. It is unlikely for the ladies to wear only one pendant. The layering of jewels challenges the ways pearl jewelry is normally worn. Pearls are also mixed with metals to create a more modern trending style. Interesting earrings can also be created to make classic hooks and studs. This is done by mixing pearls with geometric motifs, either circles or square in shape. Rose gold has been on the trend for the past few years and yellow gold is just about to replace it. Co-founder of Pearls for Girls, David Parker notes that the local market’s penchant for carefree designs will definitely influence style choices. 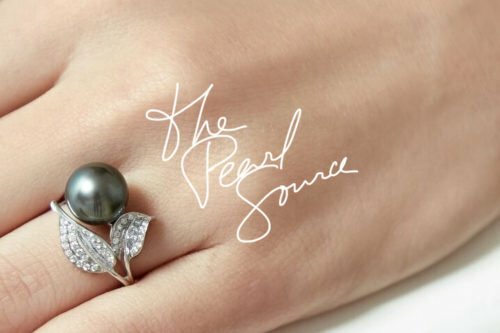 According to him, this is the pearl jewelry trend expected to take center stage this year. His customer base is largely from Australia. Simplicity in design is what the Australian market embraces. Australian women love designs that can be worn during the hot weathers with collared shirts. Many of the customers will also go for functional jewelry that can suit the immediate climate and design needs. Pearls vary in shapes and the large pearls are very popular. They easily give simple designs and that is what people at most cases go for. Freshwater pearls are affordable, they have a variety of shapes, and therefore, they will continue to dominate in the fashion market. South Sea pearls are supplied in the local and international market by the Atlas Pearls. The managing director of Atlas Pearls, Pierre Fallourd is very much confident about the gem’s reinvention. He expects the gem to stay fresh during the year. The silver and white South Sea and Tahitian pearls are in a craze. Many extravagant pearls are expected to return the favor to fashion. Earrings and pendants are the most popular categories in the ornament making from pearls. There is a unique emerging trend in the strands that you are to keep an eye on. South sea pearls are of many varieties. The pearls allow the creation of unusual matched strands combining different pearl shapes and size graduation. Signature pieces will then be made and hence, unique strands. Pearls have an allure of being timeless, unlike other trends which come and go. In the jewelry fashion, pearls have relevance in today’s jewelry landscape. A unique trend in the strands is emerging while pearls continue to have a popular kind. The Paris Haute shows did an amazing work in the aspect of international fashion trends. Platforms like these are very influential in the international market. To many countries, like Australia, it is an advantage to their industry. Gucci is among the fashion industries that did great pearl superfluities throughout its accessories collection. This helped in bringing pearls into the everyday wear and also to a wider age group. Gucci specialized in bags, shoes and its trainers when it came to accessories collection. This actually saved on wearing pearls on a special occasion and only to a mature market. It is very important to showcase the glamour of pearls to the younger generation. The pearls should also be unique and of modern design. The young ones should be educated on how to source the pearls and processes involved. This is to ensure that the pearl industry and fashion evolve as years pass by.